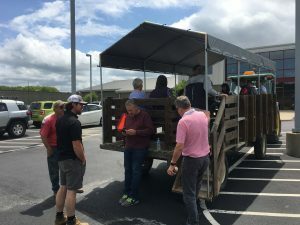 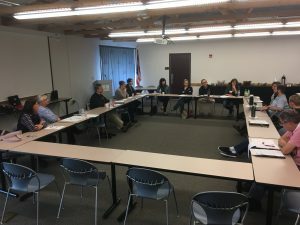 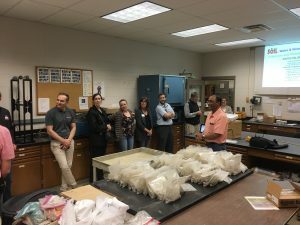 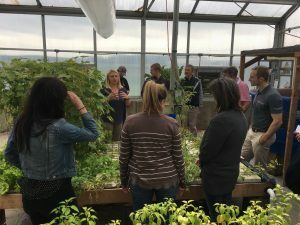 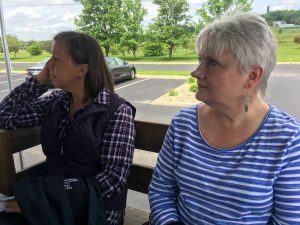 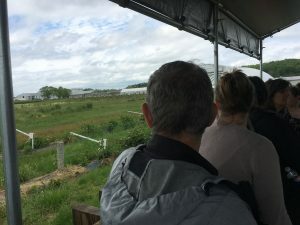 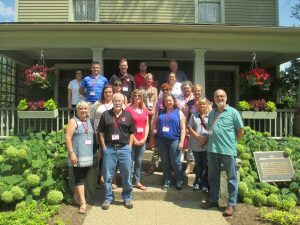 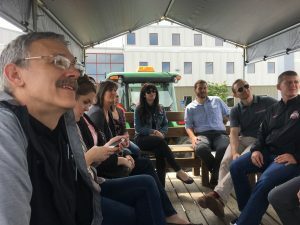 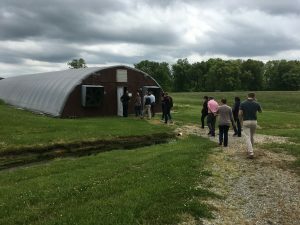 The Ohio State University (OSU) College of Food, Agriculture, and Environmental Science Staff Advisory Council gathered for their May meeting at the OSU South Centers in Piketon, Ohio. 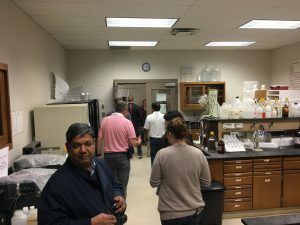 After council’s regular business had concluded, the group went on a tour of the Piketon research and business development center. 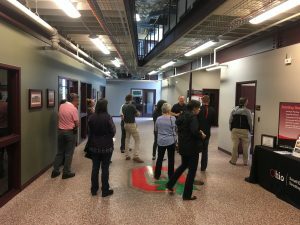 Ryan Mapes, Endeavor Center (business incubator), welcomed the group. 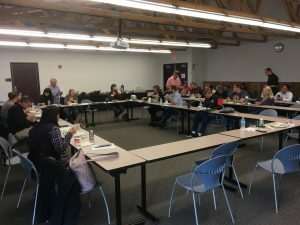 Brad Bapst, Small Business Development Center (SBDC), spoke about the SBDC providing one-on-one confidential consulting and workshops on relevant topics for businesses and people looking to start or expand a business. 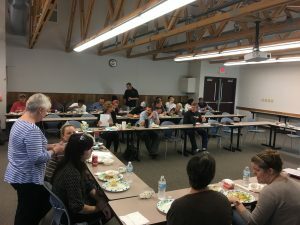 Ryan Mapes spoke about the Endeavor Center mission to enhance economic development including wealth creation, new business development, job creation within the four-county service area by providing office and bay space for lease, business services and training for start-up and growing businesses. 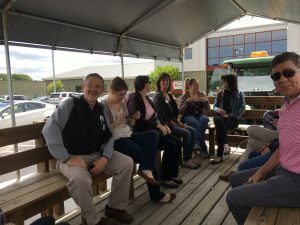 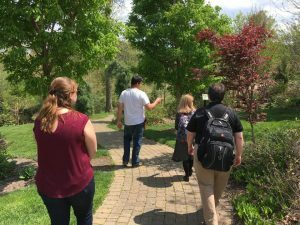 He also took the group on a brief tour. 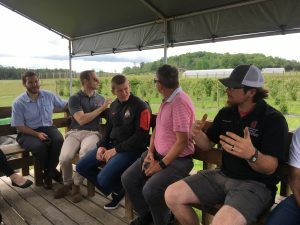 Brad Bergefurd and Ryan Slaughter, Horticulture, spoke about the mission to develop fruit and vegetable crops as alternatives which can be economically grown and marketed from southern Ohio and beyond to greatly enhance the income of Ohio family farms through applied research in both production and marketing. 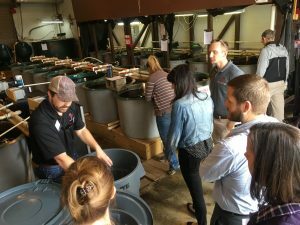 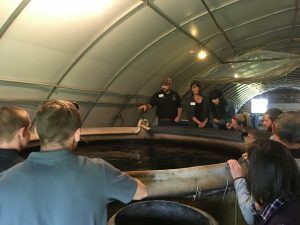 Matt Smith, Aquaculture, showed SAC members the Aquaculture Genetics and Breeding Research Lab and Hatchery. 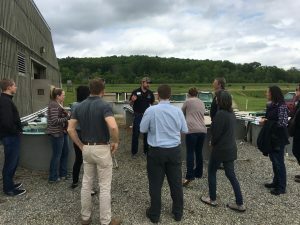 He spoke of the mission of the Ohio Center for Aquaculture Research and Development (OCARD) to increase the productivity, innovation and profitability of Ohio and US aquaculture operations, while respecting sustainability and good stewardship, by implement of sustainability and good stewardship, by implement of innovative research, outreach, extension, and education programs in aquaculture. 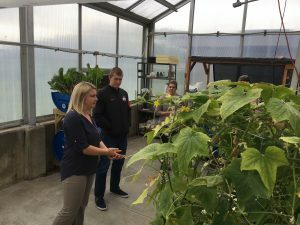 Jordan Maxwell, Aquaculture, spoke to the group about a new aquaponics greenhouse venture. 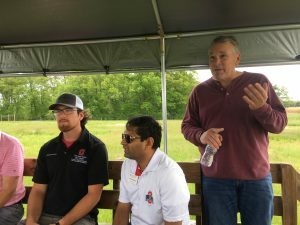 Yogi Raut, Vinayak Shedekar, and Rafiq Islam, Soil, Water and Bioenergy, spoke to the group about the mission of the Soil, Water and Bioenergy program to develop and promote research, Extension and educational programs for agricultural management practices that sustain soil & water resources and are economical for producers and growers.